Iran and Ukraine discussed issues of further cooperation in the air industry. Head of the Iranian Parliament's National Security and Foreign Policy Commission Alaeddin Boroujerdi who is heading delegation to Ukraine discussed bilateral cooperation in the field of air industries with Antonov company CEO Oleksandr Kryvokon on November 17. 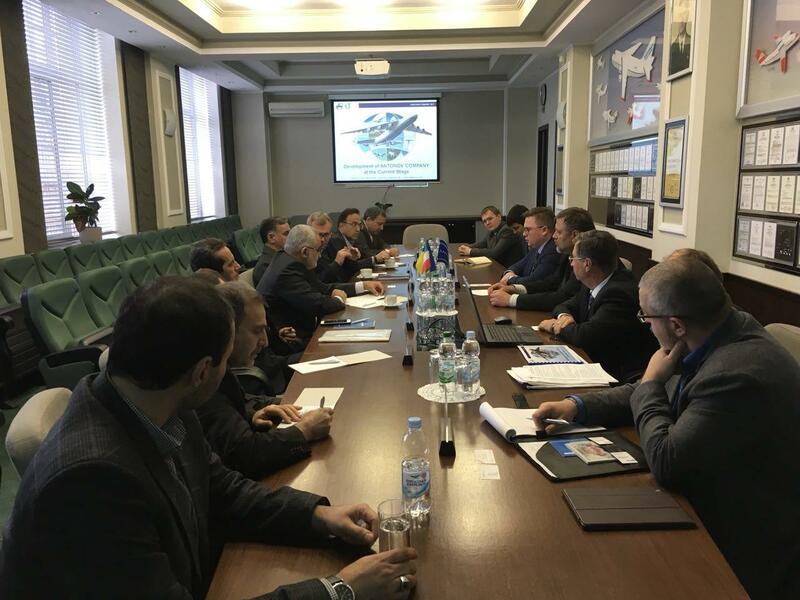 Iran's Ambassador to Ukraine Mohammad Beheshti Monfared as well as a number of Ukrainian defense industries official also attended the meeting, which discussed the future of cooperation between the two states in the field of airplane manufacturing. Iran and Antonov company have been cooperating in the production and operation of the aircrafts for two decades. Antonov AN-140 airplane is being manufactured in Isfahan under Ukrainian company license and is called Iran-140. This type of plane is produced in three models including passenger, passenger-transport and military-transport with a capacity of 52 persons. After purchasing the production licence for the An-140 from Ukraine in 2000, Iran built its first Iran-140 passenger plane in 2003. The two countries have also held negotiations to produce Antonov-158 which can carry 100 persons for six years. The U.S.-led sanctions on aircraft and spare parts exports to Iran have left the Iranian airlines saddled with not only some of the oldest fleet in the Middle East, but in the world. Since sanctions imposed on the Islamic Republic were lifted last year, Iran began to take steps to upgrade its air industry, revamp an aging airline fleet, equipment and airports. The country’s national flag carrier airline – Iran Air – has already signed deals to buy 100 planes from Airbus, 80 from Boeing and 20 from ATR. Iran has several private and public airline companies in operation, all have average fleet age above 22 years, among which IranAir is the oldest one. The number of operational airports in the country is 46. While Iran has attempted to kick start its own commercial aviation manufacturing industry and has also sourced aircraft from Russia and Ukraine, its efforts to acquire Western-made aircraft and spare parts have largely failed due to sanctions.